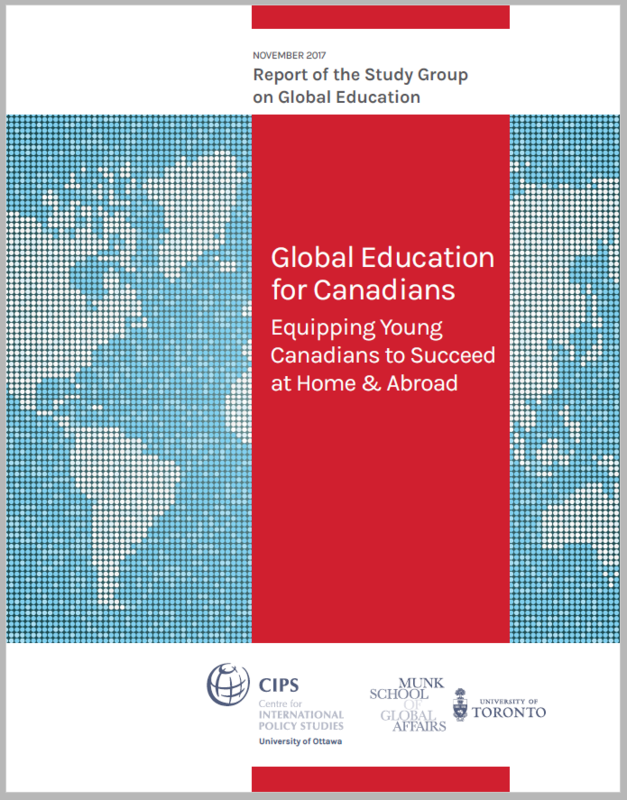 On November 8, 2017, the Study Group on Global Education, an independent group of educational leaders, business executives and policy experts, released a landmark report on international learning for young Canadians. The full report is available online at GoGlobalCanada.ca. The Study Group was established under the auspices of the Centre for International Policy Studies at the University of Ottawa and the Munk School of Global Affairs at the University of Toronto.